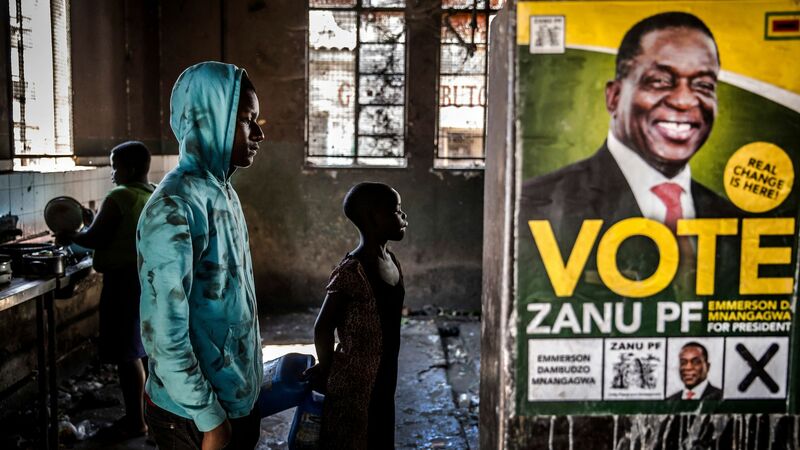 HARARE — For the first time in their lives, young Zimbabweans will be able to vote Monday in a closely contested election without Robert Mugabe on the ballot. The bigger picture: More than 20 candidates — all first-time contenders — are running for the top post, each promising jobs and better living standards. Many of the youth say the promise of better employment prospects will drive them to the voting booths on election day. To encourage more voters to turn up in this election, youth groups and non-governmental organisations have held music concerts and mass registration drives, pushing the message that young voters can change the country's destiny. Astor Chingwa is a first-time voter hoping that this election will bring a change in his fortunes. Ever since he finished high school last year, he, along with many unemployed Zimbabwean youths, has been looking for work but to no avail. "I don't feel anything when it comes to casting my vote for the first time, but I'm excited about the elections," Chingwa said, his eyes glowing. "Things could be better. I don't know what the future holds. We have suffered for a long time and I hope this election brings change," he said.